In the Photo: Emergency food distribution in Samora Machel neighbourhood, in Dondo district. Some 700 families received two-weeks rations of rice, beans and cooking oil. It was the first distribution of WFP food in this rural area, where crops were devastated by cyclone Idai and the following floods, crops have been destroyed and most people have lost their jobs. WFP is supporting the governments disaster response by providing life-saving food assistance to these communities. 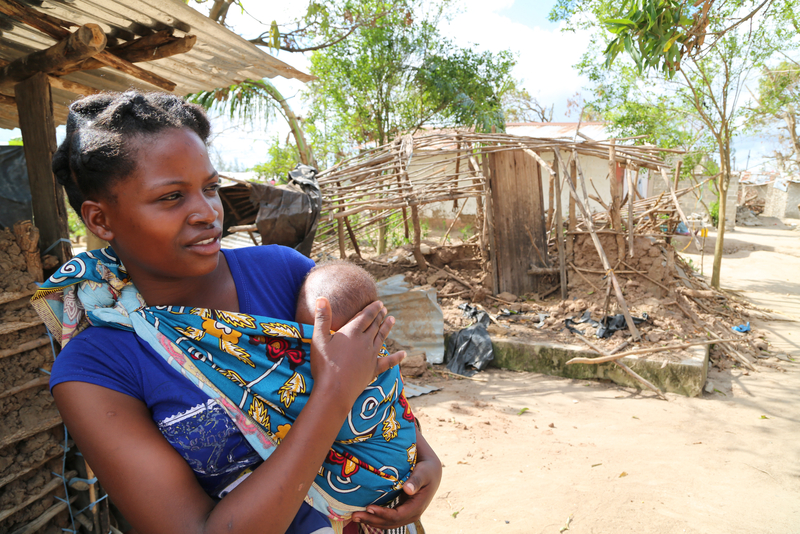 19-year old Francisca Antonio (in blue), mother of two children, in front of her house destroyed by cyclone Idai. Only the door and few branches are standing. She now leaves with her grand-mother who is hosting a dozen of homeless family members.